At The Pabari Clinic, our founder Mr. Amit Pabari, has personally selected the very best products to compliment every treatment. Whether surgical or non surgical you can be at ease knowing not only are you being treated by one of the UK’s leading cosmetic surgeons but also the products used are of the highest quality ensuring the best possible outcomes and safety. OBAGI is a global, award-winning specialty pharmaceutical company, led by skin experts. Obagi offer a wide range of powerful products to combat specific skin concerns. Some of the conditions Obagi products can help to treat include: skin damage, premature aging, hyperpigmentation, and acne. 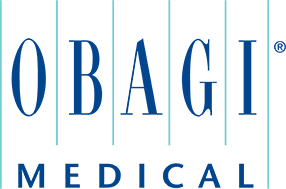 The Obagi range is exclusively available to dermatologists, plastic surgeons, and other medical professionals, such as The Pabari Clinic and our founder, Mr. Amit Pabari, one of the UK’s leading cosmetic surgeons. Obagi skin care products offer a wide range of benefits, helping to rejuvenate the skin and restore a more youthful look by working in tandem with each other as part of a skin care regime. At the Pabari Clinic, we help you to put together the ideal routine using Obagi products to achieve your goals. AT The Pabari Clinic, led by leading plastic surgeon Mr. Amit Pabari, we offer a range of SkinCeuticals products to suit a variety of skin concerns. This includes acne and blemishes, dryness, inflammation, premature ageing, and sensitivity across all skin types and age groups. Decades of scientific research has positioned SkinCeuticals as pioneers in the industry, with their award-winning product range full of effective ingredients beneficial for maintaining balance in the skin. SkinCeutical products help tackle the signs of ageing, environmental and external damage, and help protect the skin against sun damage, whilst preventing the harmful effects of oxidation and free radical damage and aiding the correction of visible signs of damage.